"Sampath Speaking" - the thoughts of an Insurer from Thiruvallikkeni: Life best race is not run by Bolt, Ben Johnson, Flo-jo or ... but by children !! Life best race is not run by Bolt, Ben Johnson, Flo-jo or ... but by children !! Athletics is interesting. 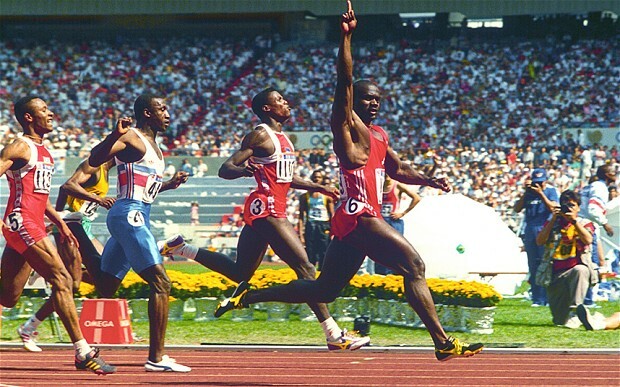 The Sprint race or 100m dash is one which is most charming. It will be all over in less than 10 secs and more replays would only reveal the actual way it finished. The video slow mo and guns would exactly pin point who actually won and the timing with which they finished – perhaps not in all races. We have read this story many a times, yet when it happens, it makes feel happy. When Seoul Olympics was on air live in 1988, the heart throb was Ben Johnson, born in Jamaica but running for Canada – one of the firsts to break the 10 sec barrier. My favourite writer Sujatha wrote a novel in Kumudam titled ’10 second mutham’ – a story of an Indian female athlete who is trained to break the barrier of 10 seconds and her emotional relationship with the coach formed the nucleus of that story. It was indeed thrilling watch to watch Ben Johson finish with 9.79 seconds. Actually closer to the finish, he turned his neck to see where his competitors were and started celebrating with a hallmark rise of fingers. He was praised so much and the race would remain etched in one’s memory. It is another matter that he was snatched of the Gold in a few days due to his testing positive for the prohibited drug. From the start he dominated reportedly hitting a max speed of 30 mph (48/3 kmph) and completed the lap in 48 strides. The same Olympics also showcased - Florence Delorez Griffith Joyner (1959-1998), considered the fastest woman of all time. Known as "Flo-Jo", Griffith Joyner was the big favourite for the titles in the sprint events at the 1988 Summer Olympics. In the 100-meter final, she ran a wind-assisted 10.54, beating her nearest rival Evelyn Ashford by 0.30 seconds. In the 200 meter semifinal, she set the world record of 21.56 seconds and then she broke this record again in winning in the final by 0.38 seconds with her time of 21.34 seconds. She also ran with the 4 × 100 m relay and the 4 × 400 m relay teams. The 10,000 metres run, longest track event, is a common long-distance track running event. The event is part of the athletics programme at the Olympic and the World Championships. In 2015, at 15th World Athletic Championship in Beijing, Mo Farah defended his title in the 10,000 meters at the world track and field championships furthering the British distance runner’s legacy as one of the all-time greats. In Women’s section, Vivian Cheruiyot of Kenya won the gold medal ahead of Ethiopian Gelete Burka in second place – but more news focus was on Molly Huddle, of US, living on Rhodes island. American long distance runner Molly Huddle raised her arms triumphantly in the air as she won a bronze medal in the women's 9,999m race at the IAAF World Championships. The only problem for Huddle was that she had another metre to go. The premature celebration was an embarrassing stuff-up for Huddle, who like all the other athletes in the race has trained her entire life to be where she is. That runner, Huddle's American teammate, Emily Infeld, took advantage of Huddle's nonchalant finish and just barely slipped past her to claim the bronze medal. Infield was out-of-her-mind happy after winning a bronze that, for the previous 9,999 meters of the race, was not hers to win. Emily Infeld was sneaked in and took the third place medal. Huddle looked utterly shocked - and furious with herself - before mustering the sportsmanship to congratulate Infeld. Not many blamed her still !! ~ now read this incident in a School in UK. Primary school children moved parents to tears after linking arms during a sports day race to ensure their friend who has Down's syndrome took home the gold medal. The Year Six boys from Wrawby St Mary's C of E Primary School near Scunthorpe in Lincolnshire, decided to come joint second so that their pal, 11-year-old Rory Kettles, could take the spoils on the day. The pupils had arranged to perform the gesture themselves without any help from adults, and their headteacher said she was delighted with what the children did. 'It promotes what this school is all about - all of our children are very important to us.- said the head teacher. 'Just before the race they asked if it was OK. They had obviously been discussing beforehand. It was so emotional, I was so touched.' Michelle Drury, whose son Rio took part in the race, captured the heartwarming moment on camera. She said: 'I'm unbelievably proud of what Rio and the boys did. Being their last sports day they decided they wanted their friend Rory to remember his last running race by coming first.